We have been featured on prominent online wedding blogs, below are some examples of these features. Some of the features are clickable and will take you to the featured wedding. Thanks to the BOHO Weddings team for featuring Paul and Nikkis incredible garden wedding. Who said England is always wet and cold? We find ourselves shooting in 30 degree weather most summers as we did at Emily and Ben’s wedding. 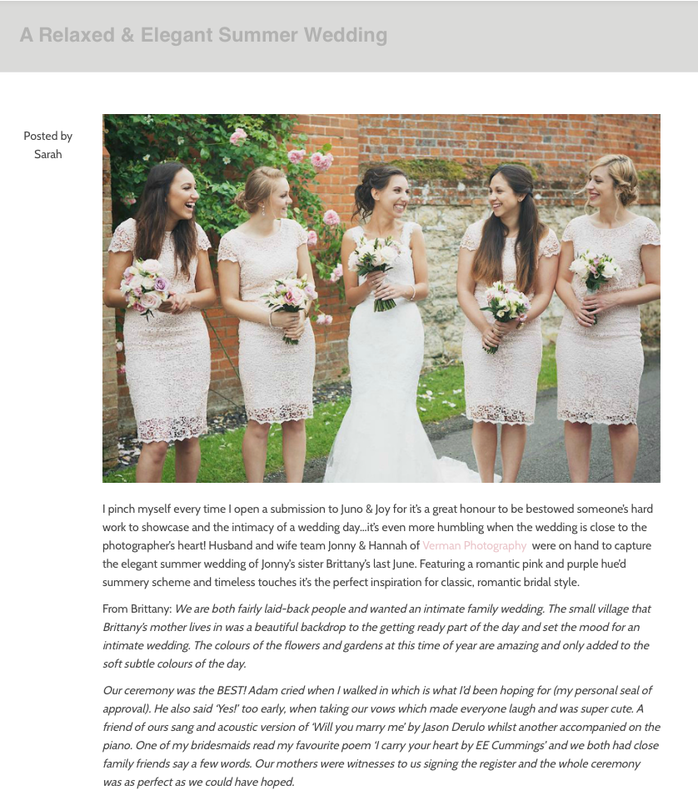 Vikki and Sam’s wedding was also featured on the English Wedding Blog. Our first ever wedding feature way back in 2012. Thanks to Sonia for supporting us and sharing our work at such an early stage in our career. Our work has since matured and changed so much, we will always be grateful for those that supported us early on.